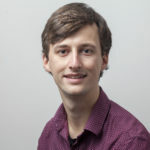 David works as a junior project officer for the MVO Platform, a coalition of civil society organisations and trade unions which advocates corporate accountability in the Netherlands. In addition, he also works in various projects for SOMO as a junior researcher. David has worked on responsible business conduct for several years, for example at the Fair Politics programme and as a volunteer for Rank A Brand. He has also worked as a teaching assistant at the University of Amsterdam. David holds a Research Master’s in International Development Studies from the University of Amsterdam and conducted thesis research about the corporate sustainability policies of cocoa and chocolate companies. He also holds a bachelor’s degree in Human Geography from Utrecht University.